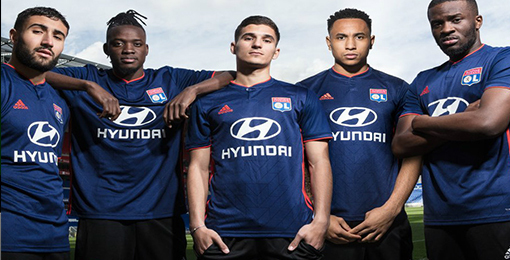 If you want to buy cheap lyon shirt for 2018-19 season, buy it here in cheap-football.com , Check our exclusive range of lyon Football Shirts / Soccer Jerseys and Kits for adults and children at amazing prices. Get the cheap lyon jersey shirts, soccer kits with wholesale price, Free Shipping Worldwide! Lyon is a French football club . It plays in France's highest football division, Ligue 1. The club was formed as Lyon Olympique Universitaire in 1899, The club's most successful period has been the 21st century. The club won its first Ligue 1 championship in 2002, starting a national record-setting streak of seven successive titles. Lyon has also won a record seven Trophée des Champions, five Coupe de France titles and three Ligue 2.Lyon has participated in the UEFA Champions League 12 times. Lyon is one of the most popular clubs in France.